Fascinating plants and both a source of food; beauty and utility together. Only after I was back in Austin did I learn that silverweed is called what it is for the same reason that you in New Zealand refer to your silver fern by that name: the undersides of the leaves are silvery white. Had I known that in Nova Scotia, I’d have turned over a leaf to take a look. From above I had no hint of how different the underside of the leaves is from the visible side. Likewise, only after the trip did I learn about the edibility of both Nova Scotia plants. Thanks to your post, if I ever get to Nova Scotia, I will know both these facts. I do hope you’ll make it to that scenic coast. In the meantime, you’ve got New Zealand’s great coasts close at hand. Yes, there’s plenty to see close to home. The creeping dogwood looks very pretty, unfortunately I don’t have that. 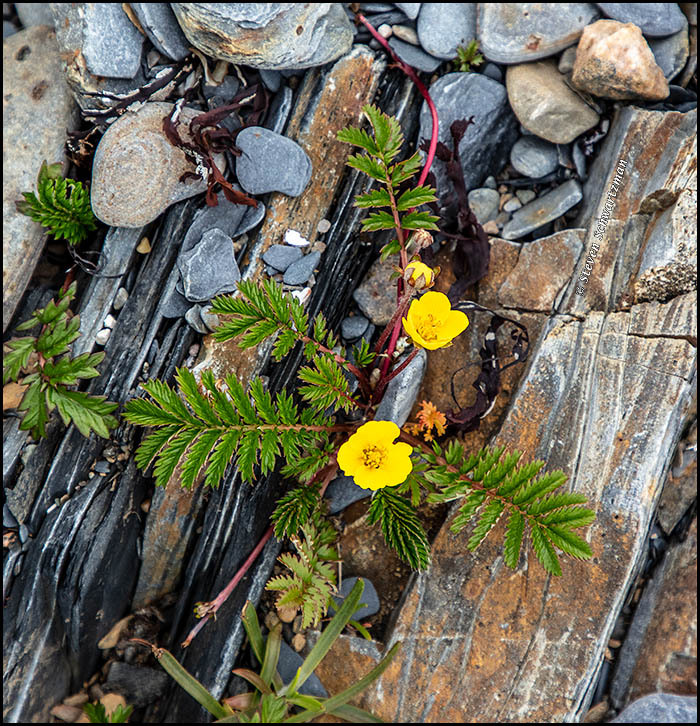 I do however have the silverweed and that is quite pretty too, but a devil to get rid of in the rocks. Much like Creeping cinquefoil (Potentilla reptans). My leaves look much more silvery than these do. it’s a circumpolar complex of very similar species, not all of which may even be distinct species. I see from your link that your specimens do indeed look somewhat silvery on top, unlike what I found in Nova Scotia. 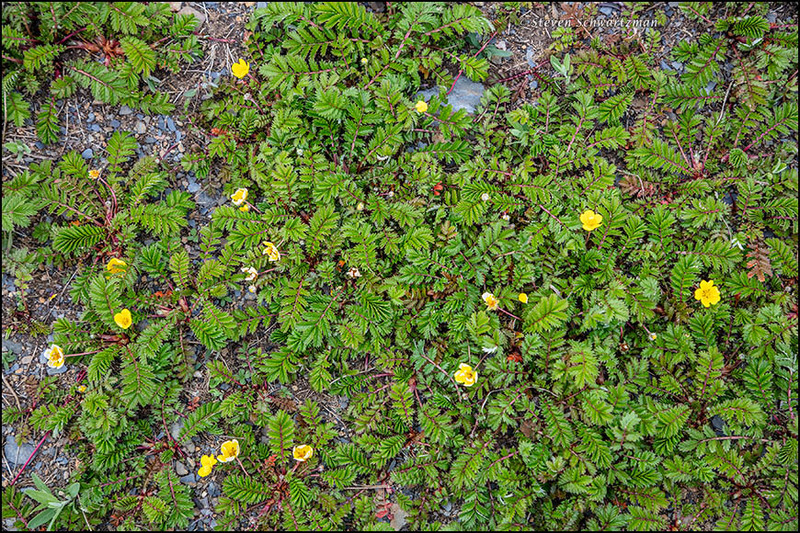 Your comment about “a devil to get rid of in the rocks” makes me wonder if the genus name Potentilla reflects that tenacity. Well it is definitely powerful in clinging onto the rocks! So it’s more than potentially potent. Oh, that dogwood is so WEIRD! The only native dogwood we have here is a type of red twig dogwood. (It is Cornus stolonifera rather than Cornus sanguinea.) It is weird by itself, but not as weird as a ground cover. Like you, I’d never heard of a dogwood that never gets higher than a ground cover. East Texas is known for the prolific spring blooms of Cornus florida, which grows as a smallish tree. I checked just now and was surprised to find that in the United States it grows as far up as northern New Hampshire, including Long Island, where I grew up. I checked out the Cornus sanguinea you mentioned, which seems not so florid. I do not know where Cornus sanguinea is endemic to. I think that it is prettier than our Cornus stolonifera, but that might be because it has been bred for prettier bare stems in winter. They must be pruned back hard to develop the colorful twigs. Without pruning, they become a nasty thicket with quail scurrying about inside. They have small dogwood flowers, but lack the distinctive colorful bracts around the flowers. 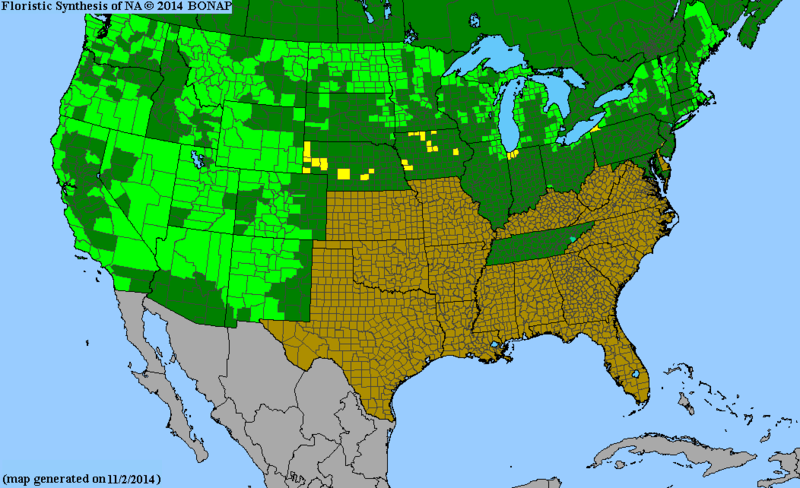 It looks like Cornus sanguinea has a pretty restricted native distribution. And notice how the distribution is disjoint. Yes; it looks like it was naturalized from somewhere else. I only know it from nurseries. Cornus stolonifera is not even documented by any of the range maps. 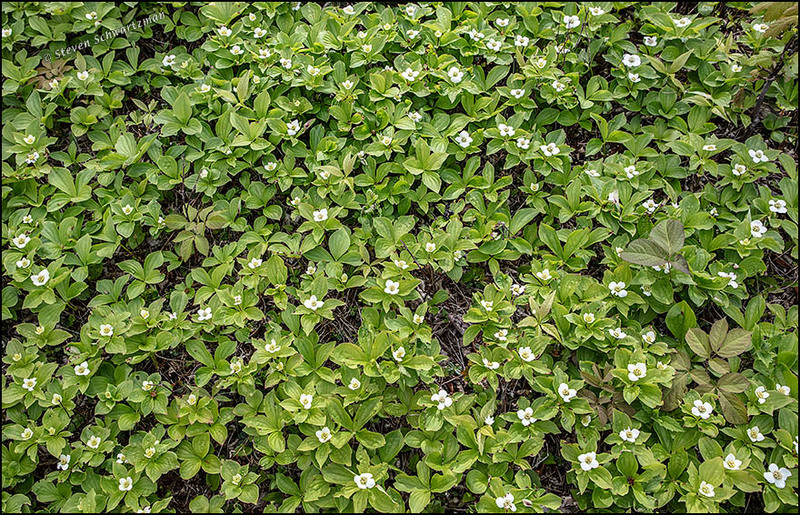 Here it is in the USDA map, under the name Cornus sericea. That range is more vast than I would have expected. I know it is vast, but would not expect it to be that fast. I’ve long been struck by the contrast between the very limited range of some species and the huge range of others. Ha! So many genera do that. Yucca glauca is all over the place, from Texas to Alberta. Yucca necopina lives in only a few tiny colonies in three small counties in Texas. Yes, we can liken it to people, some of whom never venture far from where they were born, while others travel the world. Your groundcovers reminded me that I finally identified the mysterious groundcover I found at both refuges in Brazoria County. I found it in Michael Eason’s book. Of course I didn’t make a note of it at the time, and now I can’t find it again with a quick browse, but I’ll take the time now to go back and find it. The silverweed is quite pretty, but I can’t get over the feeling that I’m looking at a different kind of “composite plant.” The leaves remind me of sensitive briar (Mimosa roemeriana), while the flowers look like creeping water primrose (Ludwigia peploides) or buttercups. It looks like there might be some white on the flowers; that’s probably what brought the buttercups to mind, because I often see yellow/white combinations around here. I’ve not yet figured out if the white appears as the flowers are fading. Saturated yellow is a hard color for a camera sensor to hang onto. I’m sometimes not satisfied with the results, as here, where even though nothing is overexposed I feel like details are missing in the rich yellow silverweed flowers. The white you see in a few places is real; my impression is that it develops when a petal ages. And yes, the leaves are reminiscent of sensitive briar, even if these aren’t touch-sensitive. I know Bunchberry, but Silverweed, what a beauty! I have to look for that, sounds like it might be around here. You did them both justice, as usual! Thanks for the recognition of doing justice.